This is a yearly event with speakers, workshop, door prizes, food, fellowship, auction & raffle. The 2019 event is July 19-21 at Ramada River’s Edge Convention Center, 265 33rd Ave Columbus NE. Please refer to the 2019 Nebraska Area 33 Al-Anon Reunion Flyer for tentative schedule and more information. Registration is available by completing the 2019 Nebraska Area 33 Al-Anon Reunion Registration Form and mailing it in with payment to the address listed on the form. 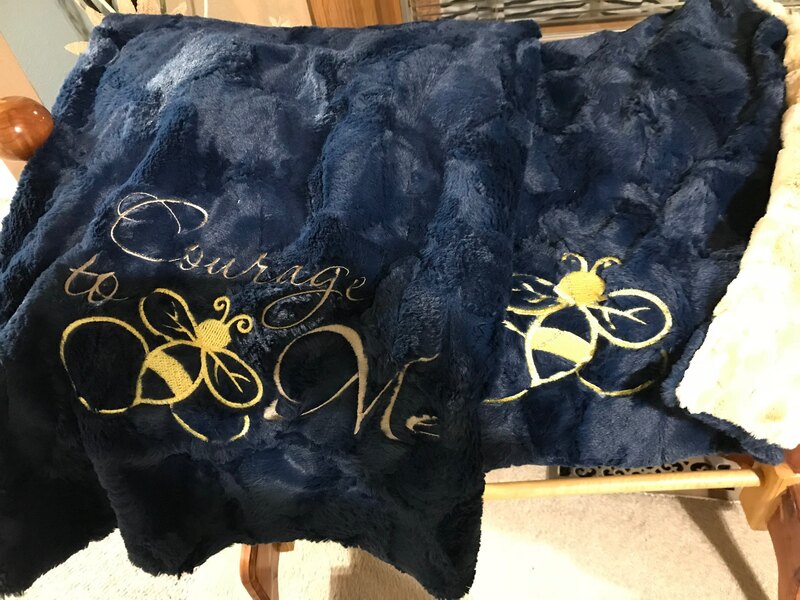 This years raffle will feature a homemade “Courage to Bee Me” throw (pictured below). Please contact your Group Representative to purchase raffle tickets or tickets can be purchased at the event. You do not need to be present to win.